Look at our city! 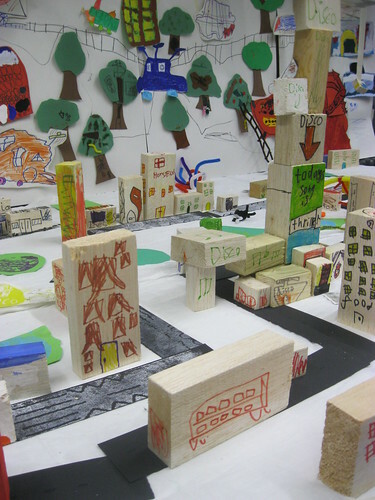 Inspired by a collection of scantily painted blocks of wood in the Museum of Joaquin Torres Garcia in Montevideo, and tying in nicely with the development of a small model set of Richmond buildings, my 5-8s Art Club have spent a glorious few weeks turning scraps of wood into their own imagined city. 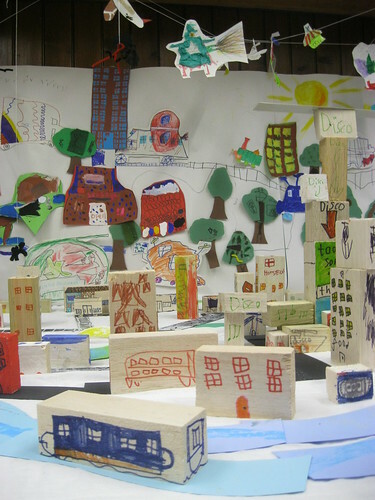 With a train track and train, river and barges, disco, flower shop, hospital fully equipped with helipad, police station, fire station and fire engine, I believe this city is ready to go!